This is the blog of Open-Source Enthusiasts. The content of this website depicts our own personal opinion about Challenges we see in todays’ IT Industry. We are posting articles about Development-, Operations-, and Business Challenges as well as ideas about upcoming technologies. Our Articles are by no means representing our current employers official Statements or Company Strategies. We hope you find our articles inspiring and please chime in and comment if you have a different opinion or would like to add something. Buddy ‘s professional career startet in 1997, when he was developing Java EE based and Linux based Solutions for large and small Internet Service Providers as one of the founders of a german systems integrator ByteAction. 2011 Buddy joined Red Hat. At the inception of this blog. he was working as a Senior Enterprise Solution Architect for Red Hat. In his daily work he is working on PaaS and DevOps Technologies for large IT Organizations. In March 2016 Buddy became a Manager for Chief Architects and Infrastructure Solution Architects. In April 2018 Buddy decided to leave Red Hat and dive into Pivotal. The Solution led sales approach and the ability to really help large organizations transform and become ready for the challenges of Digital Transformation convinced him. He is now a Senior Manager for Platform Architecture in EMEA Central. Patricks professional career started in 1999, when he joined IBM Deutschland Entwicklung GmbH as a developer in the IBM MERVA team. He was quickly recognized as management potential and after a short time as project manager for IBM MQ Series Workflow, was promoted into a management position within the same team. After some organisational and structural changes within IBM Deutschland, Patrick decided to resign from management and return into a more technical but sales oriented role, where he successfully worked on various large and international accounts, mainly in the industrial/manufacturing industry. In 2006 Patrick certified with the ‘The Open Group’ as Master Certified IT-Architect, by proving his skills and experience and has renewed his certification as required by ‘The Open Group’. In 05/2013 Patrick joined Red Hat, Germany as a Middleware Solution Architect. 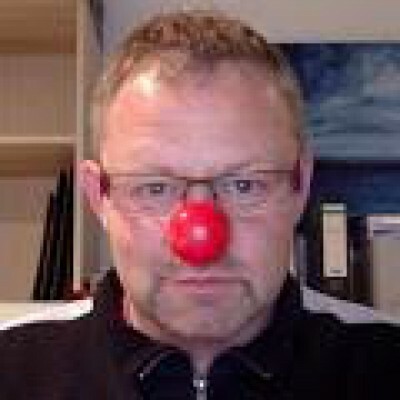 In 08/2016 he became Manager of an EMEA wide Specialist Solution Architects team, covering the Red Hat JBoss products, Red Hat Mobile and Red Hat Openshift. March 2018 did bring the last big change for Patrick, when he left Red Hat and joined Google Germany as Manager Google Cloud Customer Engineering, Germany. 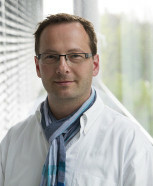 Wanja has started his professional career in 1998 as a freelancer for a bavarian car rental service. His tasks have been to create a full-fledged client / server environment for this car rental company in C++ based on Power++ and Sybase Anywhere Database by Sybase. After 2 years he joined a small solution integrator as a Java/JEE consultant. Over the next 7 years he ran around Germany from one project to the other to work mostly on JEE web apps hosted on most application servers: IBM WebSphere, BEA WebLogic, JBossAS, Tomcat, Resin, Jetty… to name them. In 2007 he joined Red Hat as one of the first Solution Architects for middleware in EMEA right after the acquisition of JBoss. In those days he was responsible for central and eastern Europe to cover all technical questions coming from partners and customers regarding JBoss. In 2015 he has moved to the EMEA organization of Red Hat as Partner Enablement Manager. Now he is responsible to help middleware partners coming up to speed with all the technologies Red Hat can offer. Starting in 2016 he spent more and more time with Red Hat OpenShift Container Platform, traveling around EMEA to help partners understanding how to use of the platform.